1.8 billion US dollars would make any sane person go crazy. Personally, I think I would buy an island. But what happens if you’re one of the biggest, most influential social media companies the world has ever seen? Well, you start doing weird things too. 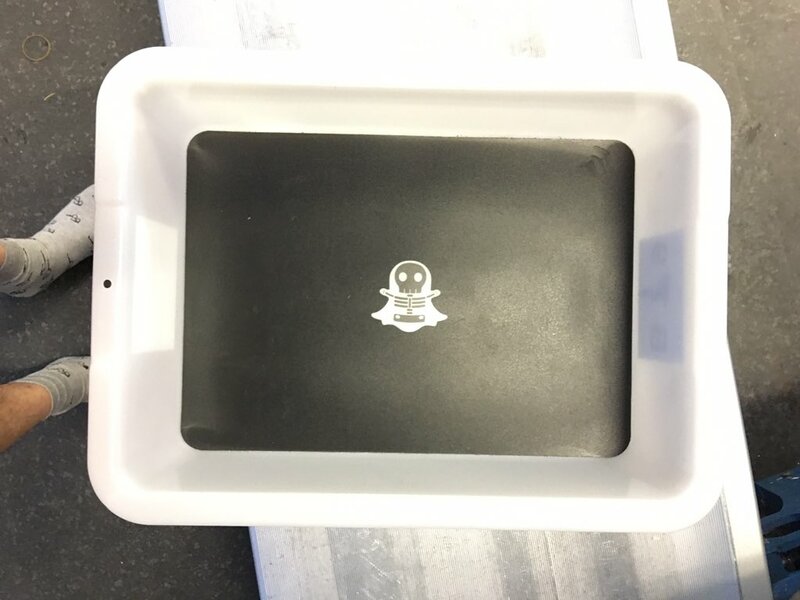 In an interesting turn of events, Snapchat decided to put their famous ghost on the bottom of the baskets used during airport security control. 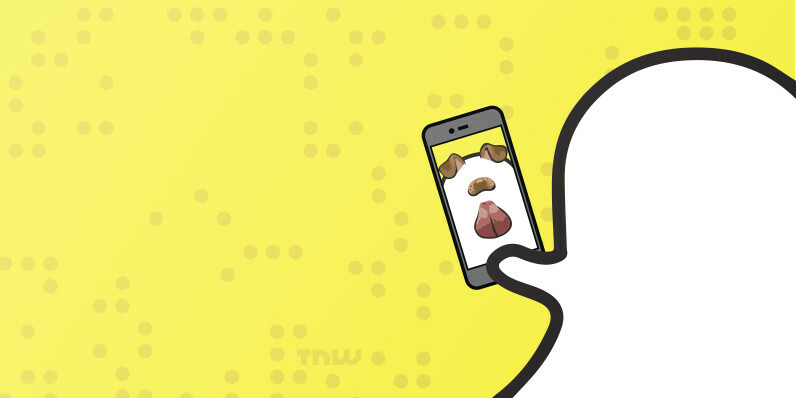 There are two versions to be found — one of a normal, friendly Ghostface Chillah and one X-ray version that appears when you scan a Snapcode. 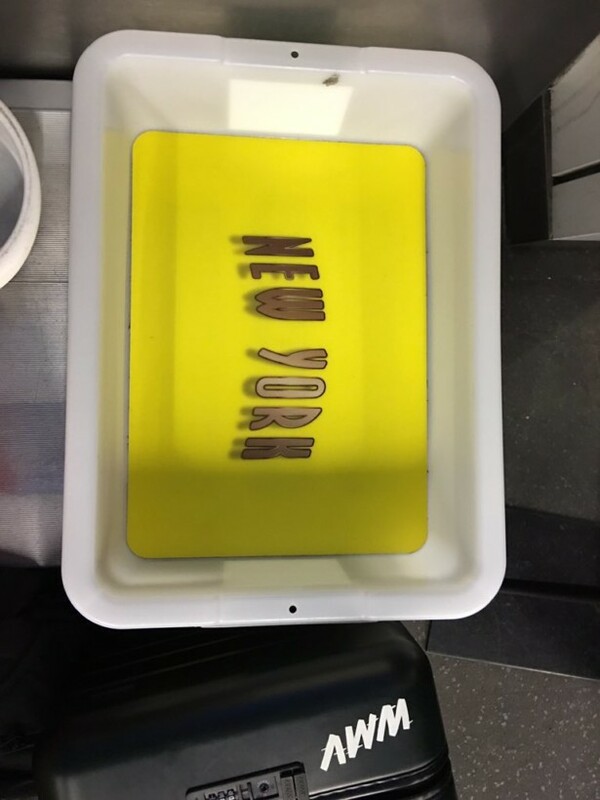 There also seems so be a location-specific one for New York. 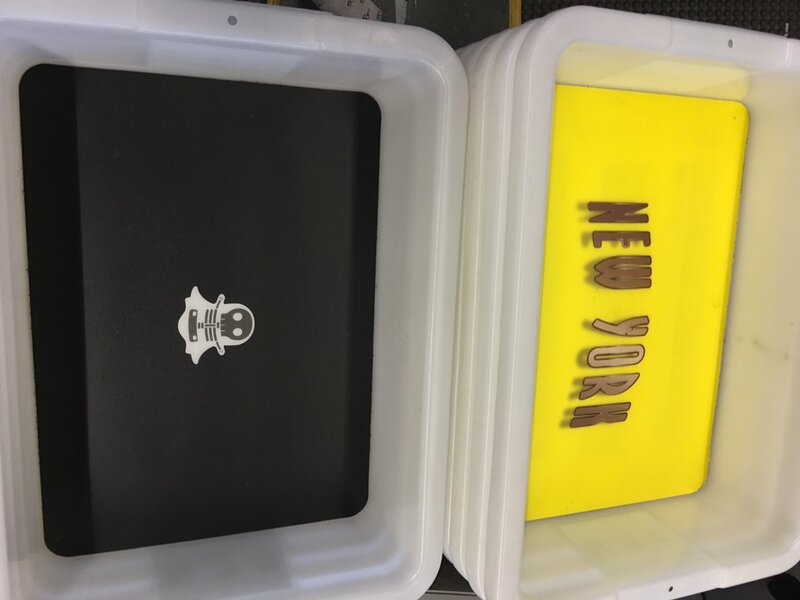 If this turns out to be a global marketing campaign, we’re definitely expecting to see ‘Amsterdam’ and ‘London’ prints pop up soon. 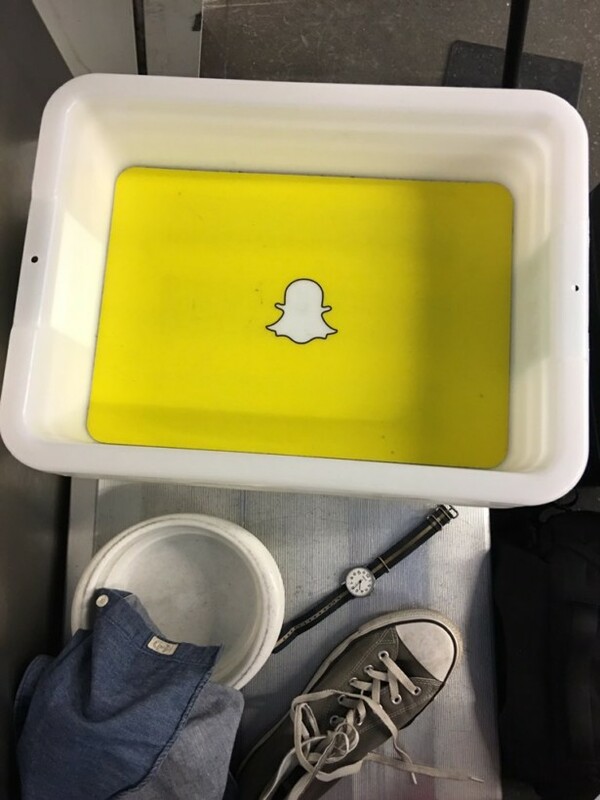 However, it’s strange that Snapchat is promoting their app exactly in the one place where you can’t actually snap — the airport security zone. 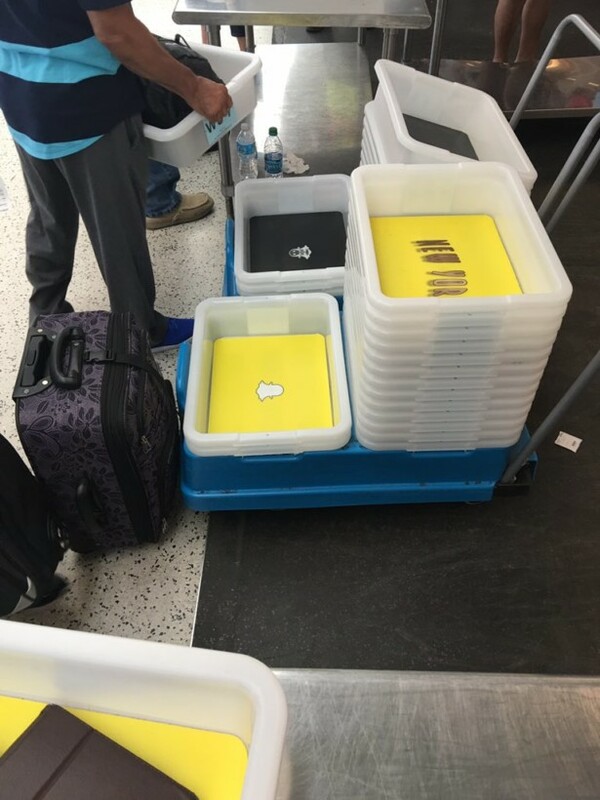 Trust me, you don’t want to mess with TSA officers by whipping out your phone at random. Thanks to Wesley Verhoeve for spotting and sneakily snapping the pictures.